A MOBILE COMPUTER GEEK CAN SORT IT OUT! 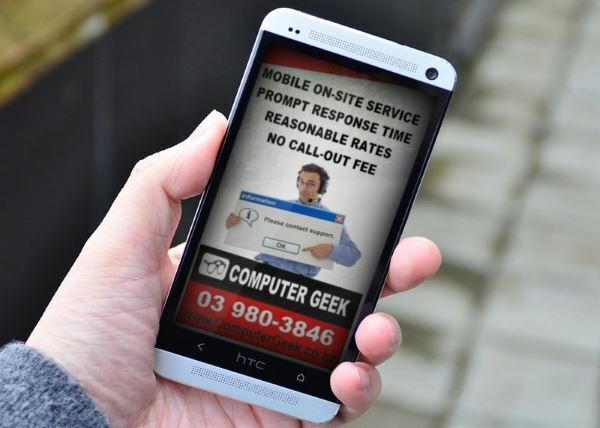 Computer Geek Services is a Christchurch computer and laptop repair company specializing in mobile, on-site PC, Mac and Linux repairs for both home and business users. As a family owned and operated business, Computer Geek Services has become known for its fast, friendly expert service. We provide a wide range of services including virus and spyware removal, email setup, home and office networking, wireless networks, new PC setup, data recovery, backup solutions, web hosting… the list goes on and on. If you have a laptop, tablet or computer issue, need some advice or just don’t understand the gobbly gook, give us a ring. We speak plain English and are always happy to help. Our Geeks will come to you and set up your computer. We will ensure the computer is connected to the internet. All required programs, printers and other devices are installed and working correctly. Setup your e-mail and transfer any data you require from your old machine. Computer running slow, not staying connected to the internet, or doing unexpected things. Its time for a Tune-Up. One of our Geeks will come to your house or office and sort that annoying computer out. A tune-up costs $90 and normally takes less than an hour. Our Geeks can provide a range of secure, local, online and cloud backup services. designed to protect your photos, documents and data files from being lost if disaster strikes. We also provide Data recovery services and have the tools and knowledge to assist with recovering lost data files. Small and medium sized businesses need to have dependable experts they can trust. Someone to maintain their computer gear, repair or upgrade equipment and give advise on current and future technologies and the advantages or disadvantages of each. A Computer Geek is the ideal substitute for an IT department. Our technicians can handle all those annoying IT worries, letting you get back to what you do best. On-Site Computer Support, rapid response times and expert technical advice are only a phone call away.